When I met Stephanie Broek during Stockholm Fashion Week last year, it was clear she had style in spades—and one look at her painfully cool Instagram confirmed my suspicion. 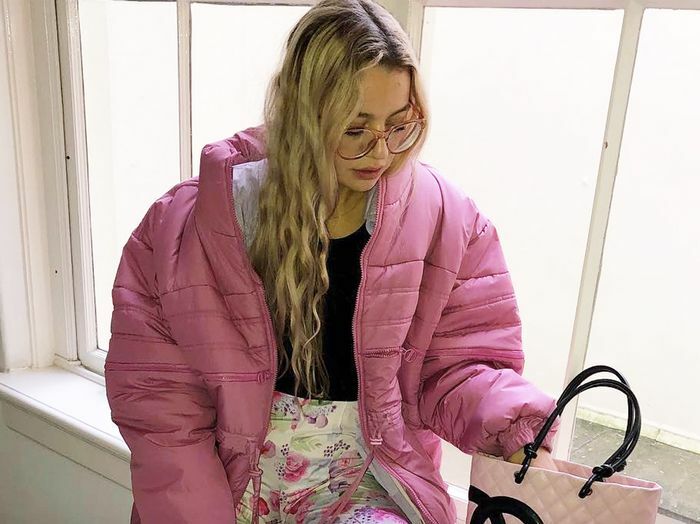 Broek's account is my personal cheat sheet for discovering rising brands, and she never fails to offer inventive ways to style the pieces as well. More than meets the eye, however, I also admire Broek's commitment to sustainable fashion, which includes explains her penchant for faux fur, vintage pieces, organic denim, and more. "My style is contradictory," Broek told Who What Wear. "It's a blend of feminine and masculine pieces. It's very colorful as well. I often hear that my glasses give my look a quirky feel." One of my favorite brands I discovered through Broek's Instagram is Aéryne, a Swedish/French label that offers ridiculously cool pieces at wallet-friendly prices. Broek's Instagram also introduced me to La Llama, a made-in-the-UK brand inspired by the '60s and '70s that "prides itself on a transparent production system that celebrates the craftsmanship in British production." I and Me, which uses high-quality Japanese denim and aims to transcend seasonal trends, also earned a spot on my list. Scroll down to shop six rising brands you'll want to commit to memory. Next up, I compared 21 airports, and these six have the best style.